Hello everyone! It is Crystal here and it is my design team day for Jaded Blossom! 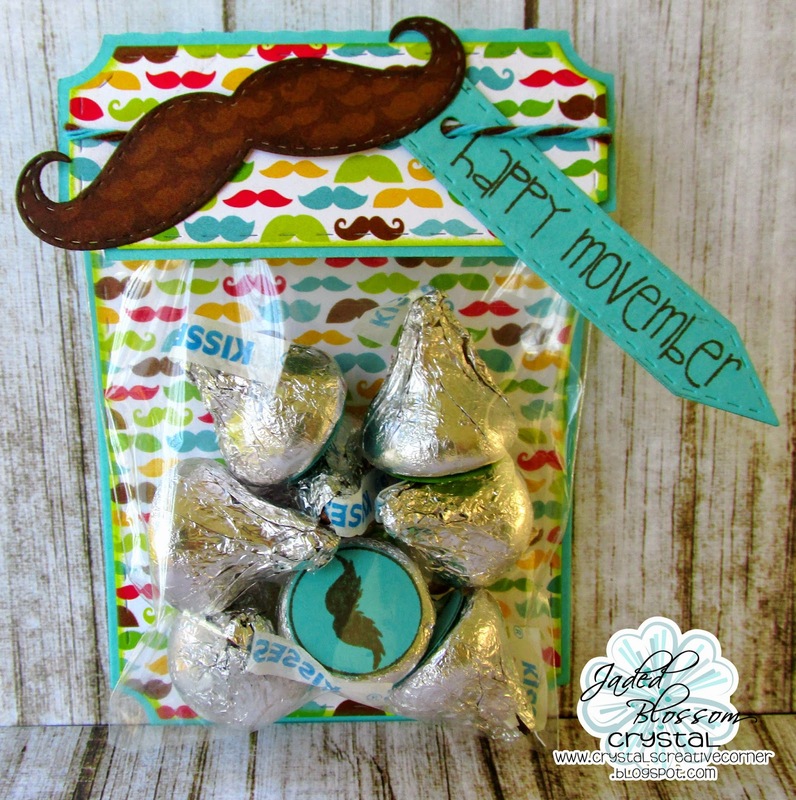 Today I created a treat to celebrate Movember. Movember is the global men’s health charity where men grow and women support the moustache during November. Participation begins once you sign up and become part of the official movement to change the face of men’s health. Movember is about bringing back the moustache (Mo), having fun, creating conversations and awareness, and raising funds for men's health, specifically prostate cancer, testicular cancer and mental health problems.